Humanities Computing gave rise to the Digital Humanities, which brought considerations of a wider scope of the digital turn to humanities research. Increasingly, the area is understood to include the field of design, exemplified by definitions that describe the Digital Humanities as a “generative enterprise”. We suggest that design contributes not only to the making of digital artefacts. Design practiced with the aim to generate new knowledge constitues a research method. 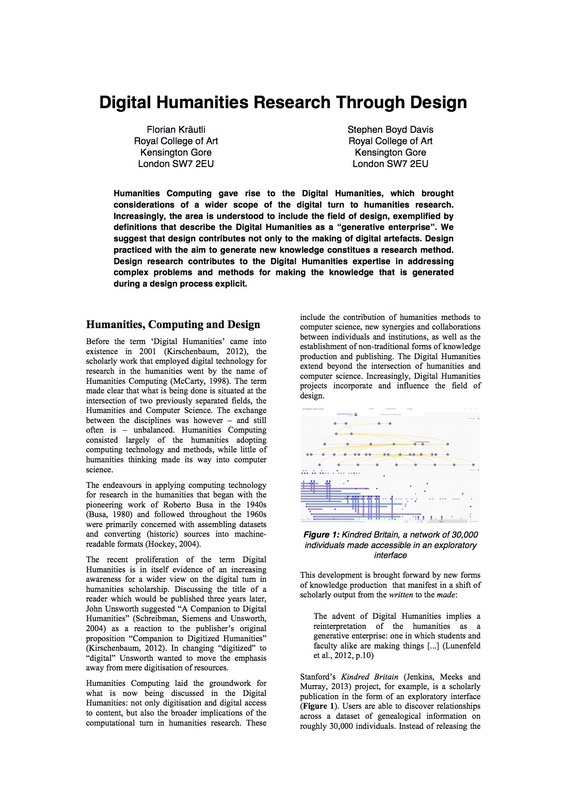 Design research contributes to the Digital Humanities expertise in addressing complex problems and methods for making the knowledge that is generated during a design process explicit.